That’s the combat style I wanted to take this next open world RPG towards. Grid-based, clever AI, with an intensity to combat due to harsh consequences. 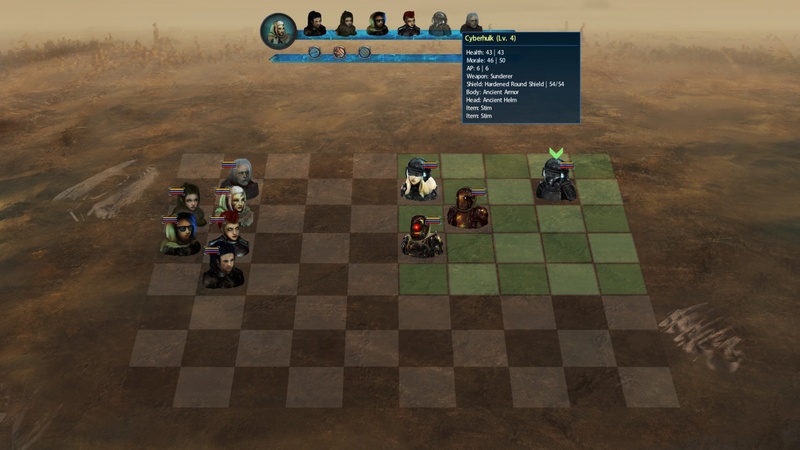 The player’s squad recruits and NPCs are represented like a chess piece. The abilities they have access to depends on their weapons, equipped items and perks. The combat potential is based on character stats (STR, AGI, VIT, INT), skill levels and equipment. Action Points are spent for movement and abilities. This world is one of mostly low-tech, but there’s strong influence of remaining ancient technology. Hopefully the Cyberpunk & Post-Apocalypse vibe shines through. 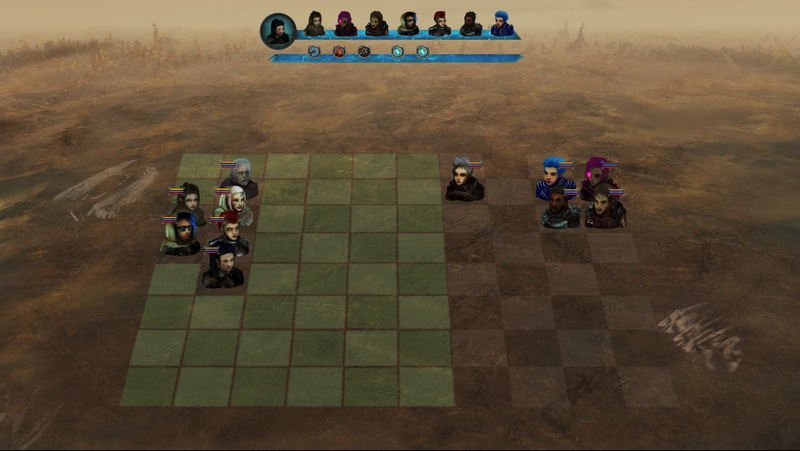 And ofcourse, the much delayed blog post about the game, it’s world and mechanics. Another iteration, the skip unit turn button on the lower left, added a red color base for each NPC unit to help with identification. 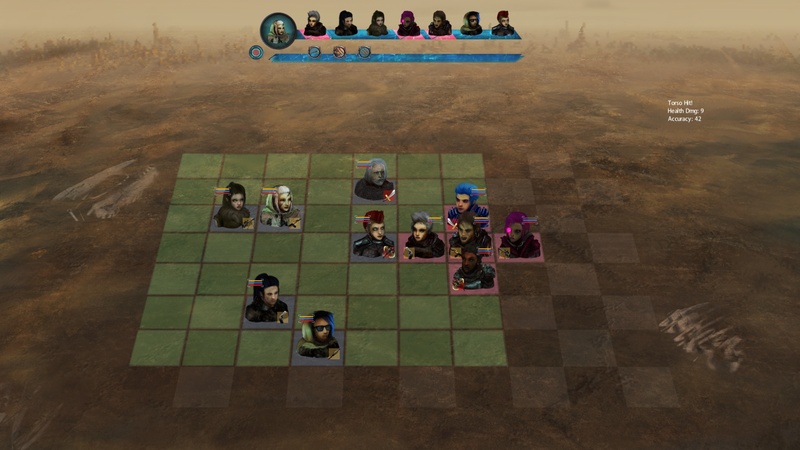 One more iteration, with colored tiles for player (blue) and NPCs (light red), and equipped weapon class icon so players can quickly ID the unit type they are fighting against, without reliance on mouse-overs for more info. The numbers are for debug purposes. I will add those info to the ability tooltip. Can’t wait for the blog about the world and mechanics! Yeah I know that feeling, turn base combat has a big flaw and that’s when its trash fights, stuff your squad easily steamroll it becomes boring. 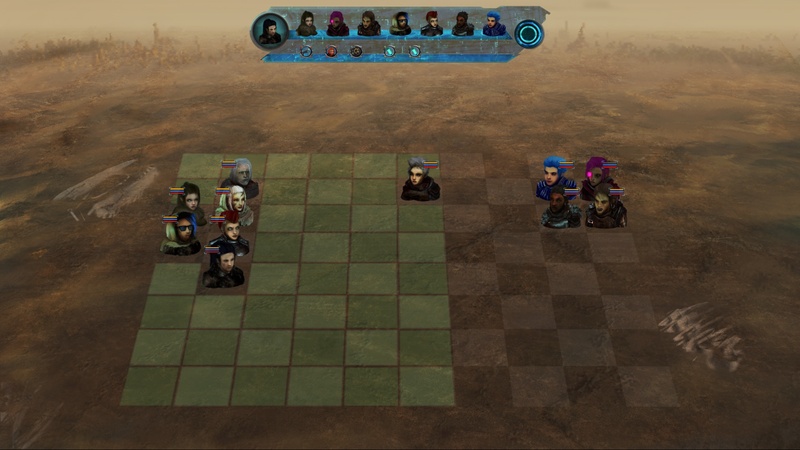 Tactical battles are only really good when the odds are stacked against the player, and one has to outwit and also pray for some good RNG. So its something I’ve factored into the design and try to avoid those situations.